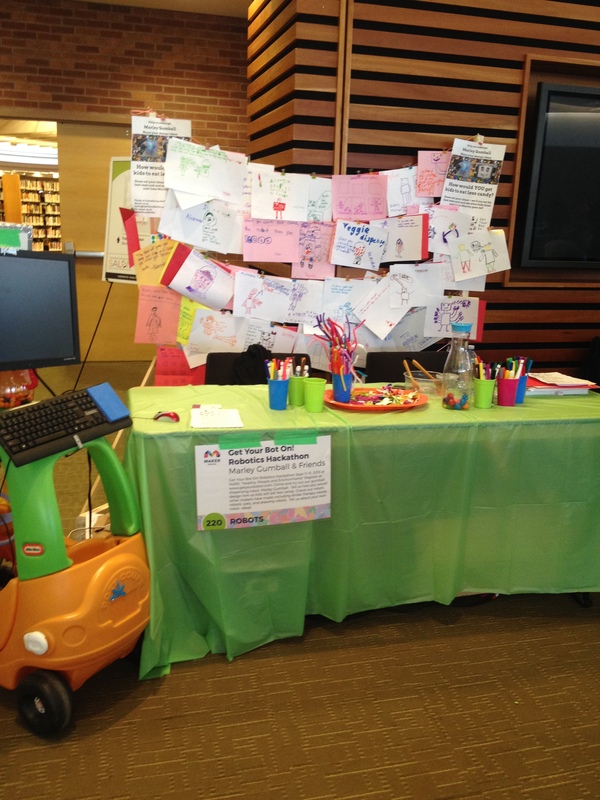 Maker Festival was held at the Toronto Reference Library on August 1 and 2 and Get Your Bot On! was there to take part in all the hacking, building and experimenting fun. 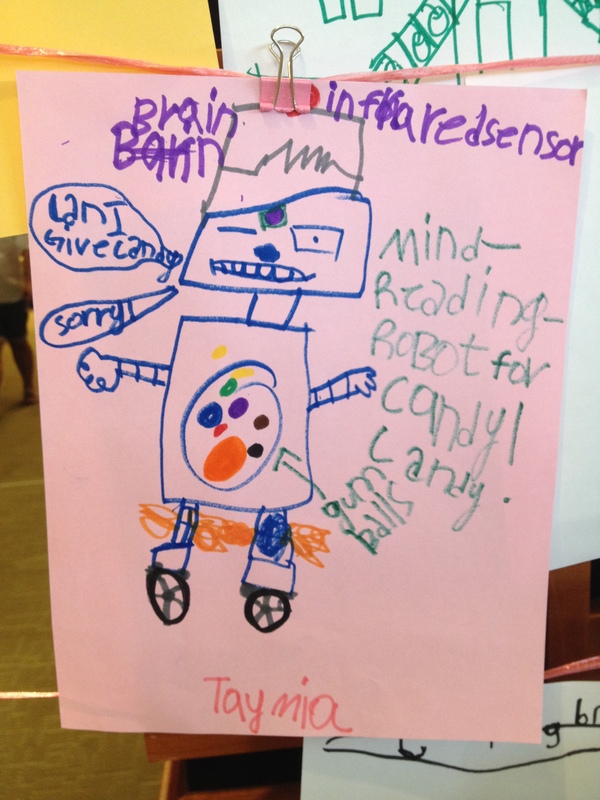 We brought along Marley Gumball, our gum-dispensing robot, and asked kids to help us redesign it so that kids eat less candy. Marley is programmed using Scratch and Scratch GPIO and uses a servo motor for the dispensing mechanism, which is under the hood. On the outside are a Raspberry Pi, a Makey Makey, and a range-finding sensor. 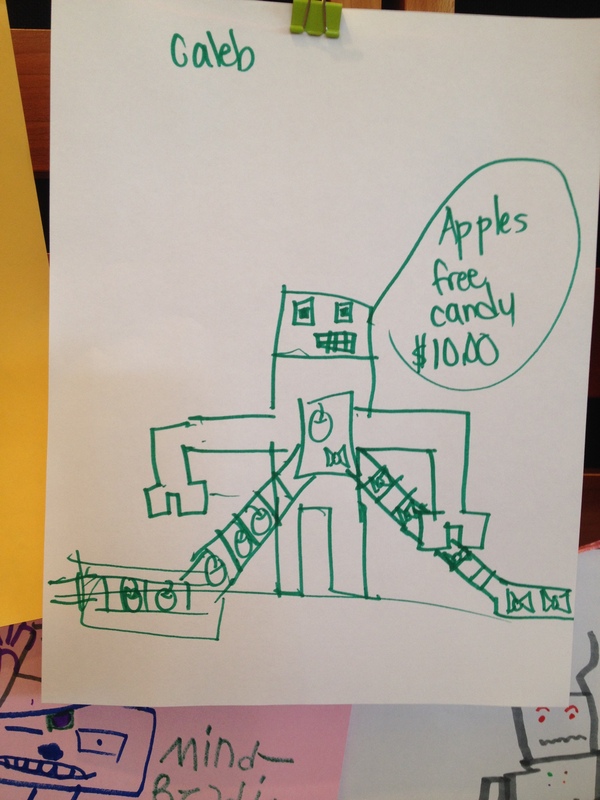 …or Caleb’s idea to dispense apples for free but charge a hefty fee for candy. 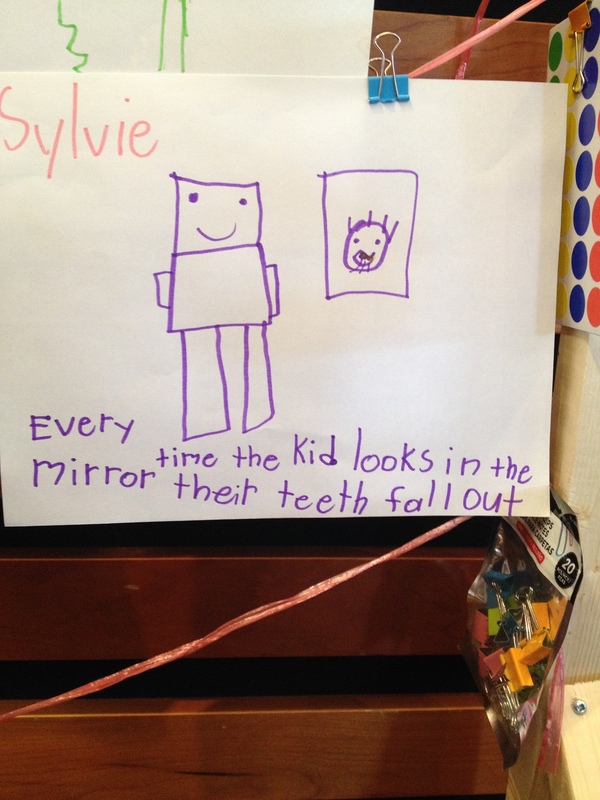 Another participant went a step further and imagined a robot that’s capable of reading your mind when you ask for gum, to see if you’re allowed to have it or not. It’s nice and polite when it denies you your treat, though. By the end of the weekend, we had gathered a whole bunch of unique suggestions and hopefully inspired some young makers, too. We also had fun catching up with old friends, making new ones and seeing all the creative projects other organizations were sharing at the festival.